Maggie, with Arnold Schwarzenegger and Abigail Breslin, is a good first effort for director Henry Hobson. It’s not perfect but it’s certainly interesting. Drew and Eric also discuss the wonderful Carrie Fisher, rest in peace. Mother Anderson joins the boys for Grease, a musical from our youth. Father A even makes a cameo. Merry Xmas! For Your Eyes Only is a simpler Bond than Moonraker, one that Brother J and Drew did not like but Eric found refreshing. The audio on this is a little wonky (but perfectly listenable) – Brother J’s new office is a bit echoey and for some reason Drew’s audio has an occasional “skip” in it. Also Eric refers to Jack White as Jack Black and no one catches it. Moonraker is neither the best nor the worst Bond movie but it’s full of campy fun. An all-star cast can’t save The Man with One Red Shoe from being stuck in 1985. The brothers also discuss: Dracula Dead And Loving It, Love At First Bite, Once Bitten, The Valley of the Dolls, The Neon Demon, Midnight Special, Castaway, Oasis: Supersonic, The Trolls, Zootopia, and Storks. A duo brother episode discussing a documentary about a duo of brothers: It’s Oasis: Supersonic. Brothers J and Drew found it truly transcendent. Enjoy! Bond #10 doesn’t have a very original plot or a fresh-faced Bond but it does have some fun. David Lynch, Nicholas Cage, Willem Dafoe, Crispin Glover, and Harry Dean Stanton are just some of the weird cats involved in Wild At Heart. It’s a fever dream of oddness. Recorded originally December 28, 2015, this was the last regularly scheduled Eric and Brother J duo episode. NIACW M06 Oasis - (What's The Story) Morning Glory? (What’s the Story) Morning Glory is a great album by Oasis. Drift back to 1996 and relive the magic, the majesty, the wonder that is Oasis. We also talk about Travis, Robbie Williams, Cornershop, BT, Blur, The Kinks, and a heaping helping of musical goodness. And warning to our UK listeners. We get all of the history wrong and, especially toward the end, Eric defiles the Queen’s English. Sorry, mates. Oasis Songs from (What’s the Story) Morning Glory ? Signs is a scary little movie. It has some plot holes to be sure but it holds up as a horror/sci-fi Hitchcockian thriller. Ignore the jerk director and enjoy it for what it is. Warning: At 37:54 Eric tries to drop some knowledge about the movie. After hearing this, Brother J decides that the dropped knowledge doesn’t help the plot holes and actually hurts the watching experience. So there’s that. You’ll also hear the sounds of hell and the sounds of dying cosmonauts (all tricks, no one was harmed in the making of these recordings – as far as we know) Housekeeping starts at 1:01:45, you’ll hear some train stories. Eric thinks Steve Martin’s Roxanne is great like comfort food; Brother J thinks it’s 2/3 of a good film. After 30 minutes of film talk Eric and J take a train to Audible book talk that goes wildly off the rails at the end. Good times! 2010: The Year We Make Contact is definitely no 2001: A Space Odyssey… Right! Which is a good thing, although Brother J and Eric still differ in opinions about the Kubrick classic. First we discuss USA politics because it’s scarier than any horror movie and then we do some introspection about the flow of our podcasts lately. This is the second of three in a row without Brother Drew who returns in two weeks for the Signs episode for Halloween. Young Frankenstein is all of the atmosphere of Universal horror of the 30s and all of the schticky fun of Mel Brooks. Eric and Jason talk a lot about Gene Wilder, Marty Feldman, and Herve Villechaize. Eric confuses hilarious Canadian Graham Clark with Python’s Graham Chapman. They also talk about Black Christmas (1974) , Jaws, Phantasm , Arachnophobia , and Damnation Alley . Jason talks about the Oregon coast and Christopher Lee. Then at 36:30, we time travel to September of 2015 and some housekeeping Drew had about Mr. Robot and Misophonia. It’s back to Bond for a movie all the bros enjoyed. It’s not a great movie by any measure, but it’s fun. We start with our own cold open where we encourage you to buy Dracula, presented by Fangoria Musick and Bleak December. Thus begins “Dracula,” a full-cast audio drama produced by Bleak December. As a lifelong fan of audio productions, from the classic radio of Arch Obler’s Lights Out to the newest audiobooks, I am always on the lookout for new horror selections. So it was with eager anticipation that I approached this interpretation of Dracula. The drama stars Anthony D. P. Mann of the Horror ETC podcast (and so much more) who is also the executive producer. Mann’s Professor Van Helsing drives the story and his enthusiasm shows through and reassures us that we are in capable hands. The supporting cast includes Steve Spencer, Becca Fryer, Dave Hudson, and Nikolas Yuen, all of whom give solid performances. The count himself is portrayed by Tony Todd of Candyman fame. This is perfect casting. Todd’s voice is incredibly rich and his delivery is both seductive and menacing. Which brings me to my only criticism of Dracula. It’s just under 30 minutes. Make no mistake, at only $1.99 it’s still an incredible value but it left me wanting more. More from Tony Todd, more from Tony Mann. I want to live longer in the world they’ve created. So to the dear reader I implore: buy a copy of Dracula, now available at Fangoria Musick. While you are there and in the Halloween mood pick up Edgar Allan Poe’s The Raven as performed by Anthony D. P. Mann and Maurizio Guarini (of the Goblins). By supporting these artists we can enable them to make more projects. I, for one, can’t wait for the next offering. Spartan continues a recurring NIACW theme: movies Drew loves and Jason hates. Eric thinks it’s worth a watch. for Anthony D.P. Mann - FANGORIA Musick! in: Books/Art/Culture,Features/Interviews,Home,News | June 2, 2016 - 11:01 am | by: Ken W. Hanley | Comments Off on Tony Todd to play “DRACULA” for Anthony D.P. Mann &-; FANGORIA Musick! For horror fans around the world, Tony Todd is one of the most recognizable faces in the genre from his excellent performances in the CANDYMAN, HATCHET and FINAL DESTINATION franchises, as well as fright films such as NIGHT OF THE LIVING DEAD (’90), WISHMASTER and more. However, if you don’t recognize Todd’s face, you’re damn sure to recognize his voice, which has nearly as prolific a career as the performer in its own right. 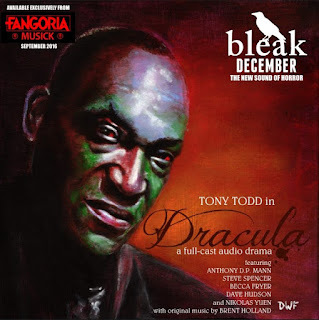 So therefore it’s with great excitement that FANGORIA announce that Tony Todd will play one of the genre’s most iconic roles in Bleak December Inc.’s audio play production of DRACULA, to be released via FANGORIA Musick! Executive produced by and starring Anthony D.P. Mann, DRACULA will be the first of several classic horror audio adaptations between FANGORIA Musick and Bleak December Inc., with Todd playing the titular role of Count Vlad Dracula. Mann, who will be filling the role of Van Helsing in the play, has previously worked on two titles for FANGORIA Musick: TERROR OF DRACULA as well as his adaptation of Edgar Allen Poe’s THE RAVEN, which featured Goblin’s Maurizio Guarini. Future audio releases planned by Bleak December include DR. JEKYLL & MR. HYDE, THE PHANTOM OF THE OPERA, FRANKENSTEIN, and THE HOUNDS OF BASKERVILLE. DRACULA will be available for download through Fangoria Musick in time for Halloween 2016. 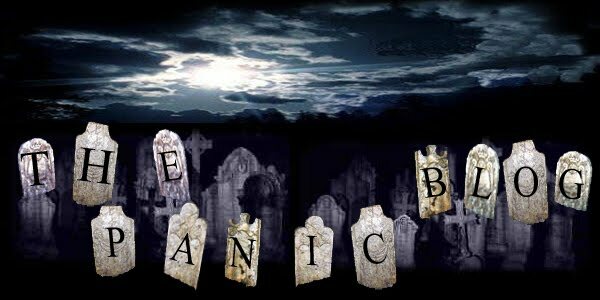 Stay tuned for more information about DRACULA and other Bleak December productions here at FANGORIA.com! The Godfather Part III – Brother J hated it, Eric doesn’t like Andy Garcia in anything, and Drew tried valiantly to defend its honor. Brother J and I discuss the 1982 made for TV movie The Electric Grandmother, based on the Ray Bradbury story I Sing the Body Electric, which was also made into an episode of the Twilight Zone in 1962. As this was our inaugural episode it is full of little mistakes I hope you find charming. Comments are always welcome at show@notinacreepyway.com. Visit the show website at notinacreepyway.com. We would also appreciate you giving us a 5 star rating on iTunes (as a tiny show this helps a great deal).